One of the dumber things we’ve been doing as a country is building a bunch of new roads, many of them dubious, when too many of our old ones are falling apart. But we’re doing the same thing for transit too. Safety and reliability problems sent DC Metro ridership plunging 14% last year. (Somebody I talked to earlier today told me his stop had smoke in it just this morning). Boston’s T collapsed in a snow storm a couple of years ago, and the American Prospect says it could be in worse shape than DC. 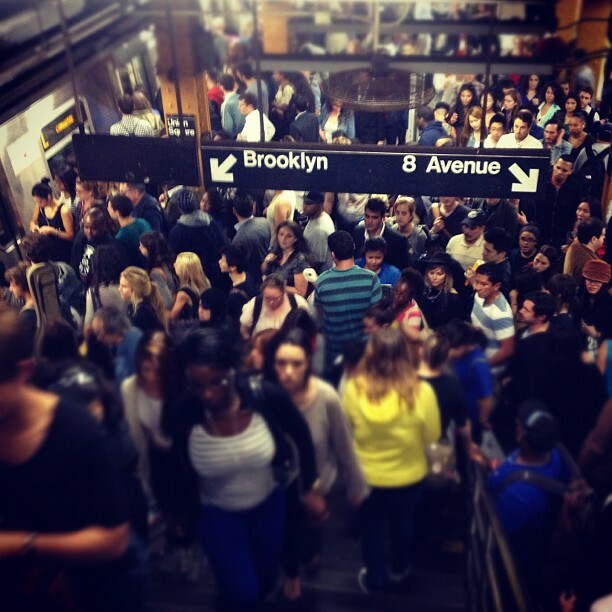 New York’s subways are getting more and more unreliable. Yet transit advocates still want to keep building new dubious light rail lines around the country instead of fixing the system’s we’ve got. Transit advocates should use Trump’s call to eliminate New Starts as an opportunity to rethink capital funding, shifting away from new and highly dubious light rail lines towards fixing up the nation’s most critical subway systems that are in terrible shape. While complete elimination of these capital grants is not necessary, significant reform is warranted. Other than a handful of critical projects, such as future phases of New York’s Second Avenue subway, the federal government should stop financing rail-transit expansion projects. Instead, it should reroute all capital funds for rail transit toward critical repairs of major legacy-rail systems. This might be politically difficult to pull off and is certainly unpopular with transit advocates. But the latter should be willing to rethink a system that routes 80% to roads and too much of the latter 20% into questionable projects while the nation’s most critical transit systems turn into a (sometimes literal) smoking hole in the ground. Wouldn’t this leave cities without subways left out of urban public transit? Well, buses are “urban public transit”, and the backbone of it in most places. But rail is fine for these cities if they want to pay for it themselves. I am just opposed to sending precious federal dollars to something new a new light rail line in Durham, NC when BART needs $10 billion in repairs. Yes. I’d rather know there will be reliable subways/elevated lines and commuter rail when I visit NYC, Chicago, DC, and Philadelphia than have new ones in Nashville, Charlotte, Dallas, or Cincinnati. It seems that this kind of thing is probably best done at the state level these days. That’s were increases and gas taxes and transportation are starting to appear. California’s example will show the way forward for more and more states on this, I think. Aaron, I only partly agree. I do agree thay we should prioritize those systems that are existing, starting with the densest and busiest. But I do think there are cities that could use transit. I just spent a couple of days in Atlanta for the first time. I rode the train from the airport to Buckhead for a conference. Very convenient for a city with awful traffic and a collapsed highway bridge right near my destination. What struck me on my ride was this – unlike Arlington VA, which received train service about the same time, I saw almost NO infill around any stations except Buckhead and downtown. Arlington, fairly suburban, infilled substantially around their stations. I fail to see how Atlanta will grow much more without rethinking how they build. Even places like Dallas appear denser than Atlanta. I am guessing the lack of infill is a combination of culture and political will. Don’t get me wrong, I’m not saying I want to pay for lots of transit systems that won’t be used. What I am saying is that cities like Atlanta will run into increasing friction as they grow to be very large cities with minimal public transit. Much like NY and LA have hit walls because of friction from massive size generating high costs and heavy congestion, so will these newer cities, but at much smaller sizes. When this happens, I think people will look for alternatives. Where will our policy be to fund these systems? They just built an interchange near my house for somewhere near $40 million. For one interchange. I believe looking at the costs of building more roads, which are also very expensive, needs to be weighted against multi – pronged strategies. Like i said, if people just won’t use transit, ok, don’t build it- just let them accept never becoming a world tier city like New York. But I think some will want it when the alternative gets too much to bear, and we should be ready for our own competitive sakes. I think adding more railway transit is viable and it can help cater the big volumes of commuters in the fast growing country. Aaron, you also suggested a while ago that Caltrain in the San Francisco Bay Area could be partially subsidized by private funds from companies like Apple. How do you justify the previous argument that the Bay Area should live without federal funds with the current argument that it’s one of the only areas that should receive funds? I understand that Caltrain is heavy rail versus SF Muni which is light rail but you mentioned BART in an early comment. That’s heavy rail, no? Andrew, you’re right on that. Part of my point of view is that the loss of federal funding shouldn’t cause Cal-Train electrification to fail. I did suggest the feds should prioritize low income areas. My proposal here was mostly keying off Trump’s proposal to eliminate rail capital grants. I do think localities should pay for their own rail expansion, even in major cities. More broadly I would like to see bus funding continue to be generously funded in lower income cities and go into core systems that serve them (of which BART isn’t the best example). I will post an article expanding this. Thanks for the response. While I live in San Francisco and may not agree with you at certain points, it’s important to get a wealth of perspectives from people living outside the local bubble. I’m looking forward to reading the next article.